Age-related erectile dysfunction (ED) can form during ontogenesis in accordance with various mechanisms of the pathogenesis of aging in conjunction with a particular cluster of diseases. The goal of this work is to study the ontogenetic features of ED patients in late ontogeny who vary by types of aging. The study comprised 65 men over 45 years old with an explicit form of ED. The first group consisted of patients with general somatic diseases (GSDs) following the accumulative model of aging, and the second group included patients with age-associated diseases (AADs) that arose primarily from the ontogenetic model of aging. Both types of age-related ED are closely connected with ontogenetic events, especially with the onset of obesity and the loss of morning erections (which precede the onset of ED), on average over a decade of life. ED with AADs is the most clinically and pathogenetically compromised. Thus, it is characterized by an earlier age of ED onset, a dysmetabolic pattern, a low geroprotective pattern, a poor quality of primary health, pronounced instability of the gonadostat, a weak sexual constitution, decreased sensitivity of the hypothalamic-pituitary complex to feedback signals, and a large proliferative pattern. ED associated with GSDs had a later age of ED onset, developed much later from the onset of obesity, and had a lower level of testicular volume with a more conserved incretory function but a higher index of IPSS. 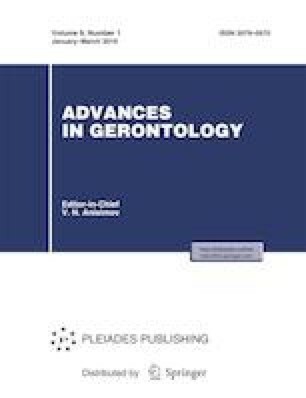 Therefore, the separation of two ED variants associated with different types of aging in conjunction with the use of ontogenetic analysis allowed the identification of significant differences in clinical and pathogenic forms, which is important for the development of ideas on the diagnosis and treatment of age-related ED.